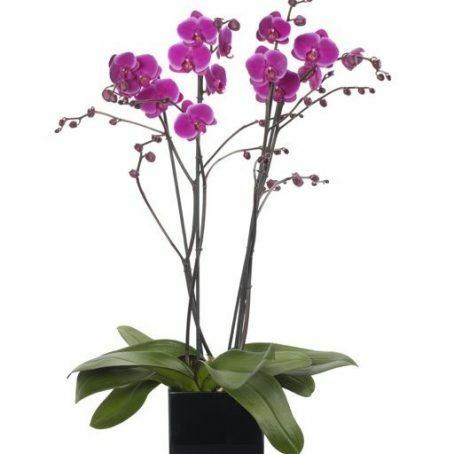 Categories: Autumn Flowers, Mother's Day Flowers, Spring Flowers, Summer Flowers. Luxury Tulip Bouquet. 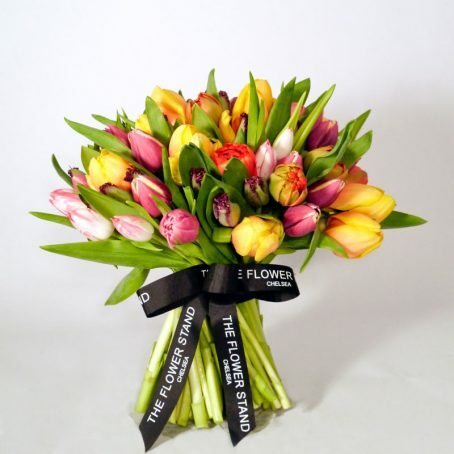 The finest quality premium cut flowers are used to create this luxurious bouquet of mixed Tulips. 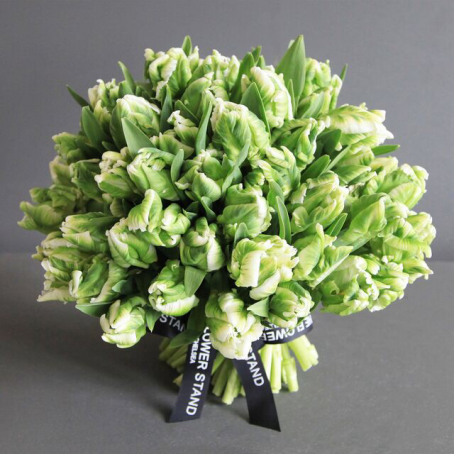 Tulips are available in a wide array of colours and hues, with some varieties having petals in multiple tones. You’ll find Tulips in deep reds, purples and maroon, as well as Tulips in creams, pure white and the palest yellow. 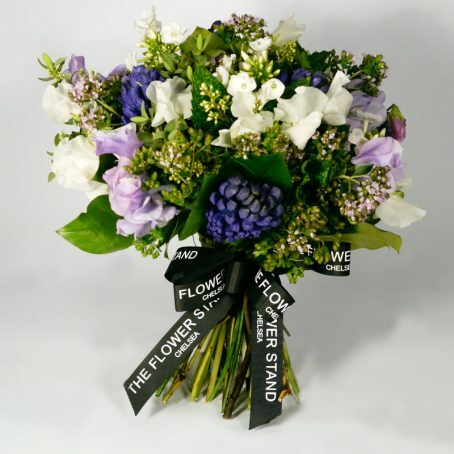 Our expert Chelsea florists pick only the best blooms. 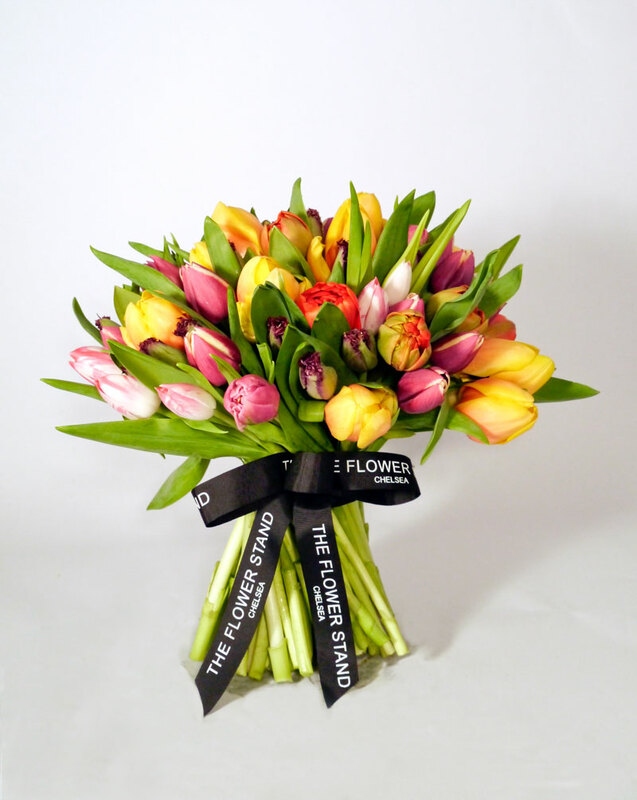 Combining the wide variety of Tulip hues available and hand tying them into stunning floral arrangements for your pleasure. Same day delivery throughout London for orders received by 8pm. Nominate a delivery date. 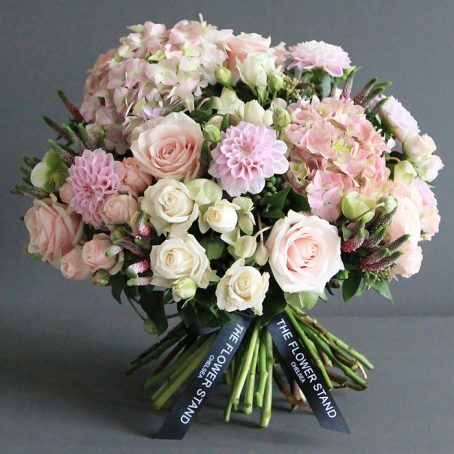 Choose a specific date, so your loved ones can receive their flowers on their birthday or anniversary.